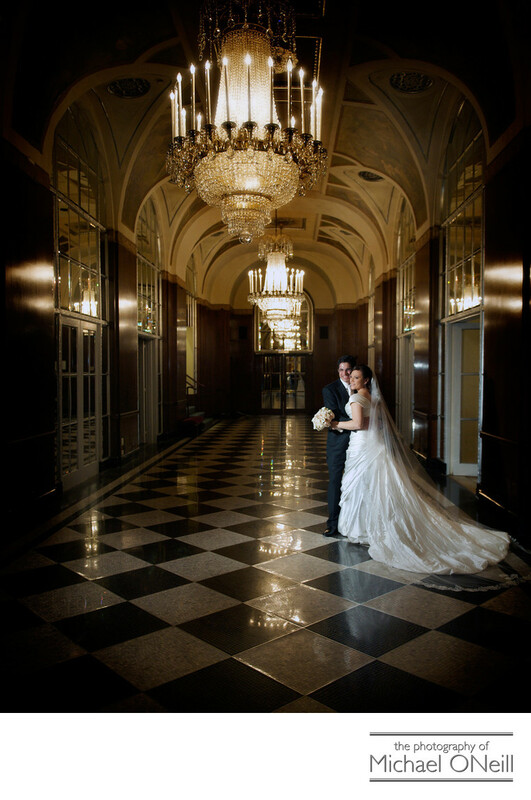 Nothing says class, elegance, opulence or style like an upscale wedding in New York City. In my 30 years as a wedding photographer I’ve had the pleasure of working at all of the prestigious NYC catering venues including: Pier Sixty and The Lighthouse at Chelsea Piers, The Pierre, The Park Lane Hotel, Tavern on the Green, The Gramercy Park Hotel, Gotham Hall, The Four Seasons, The Plaza Hotel, The Ritz Carlton in Battery Park, The Essex House, The Water Club and the most famous venue you see pictured here: The Waldorf Astoria.It takes a special kind of photographer to handle all of the details of the most discriminating couples who cater their events at one of these landmark venues. The details at these events are beyond description. I have seen some of the most elaborate decorations, floral arrangements, lighting designs, linens and table settings, and other theme-oriented details that you just don’t see at other than the finest of catering facilities.If you are that special couple planning a luxurious wedding experience at on of the finest catering establishments in New York City, you owe it to yourself to consult with me regarding your wishes for the photographic coverage for your big event. My 30 plus years of experience as a wedding photographer, coupled with the professionalism of my team will insure that every last nuance of your phenomenal affair is preserved for a lifetime of memories.